It’s a brave new world at the 12 Hours of Sebring: New Championship, new class structure, new management team but the same classic track. And another change to Sebring’s more usual status in recent times is that it’s not round one either as the TUSCC teams arrive after already contesting a 24 hour classic at the Rolex 24 Hours of Daytona. That means that part of the form book is already established, but it means too that the IMSA tech team have been busy again as the Balance of Performance is tweaked to take account of race and testing data. 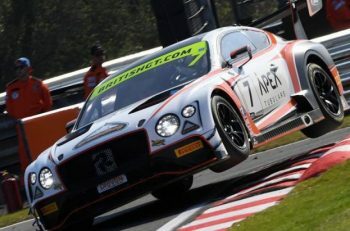 All told the initial entry with the total entry at time of writing sits at a healthy 65 cars with the list seeing a handful of withdrawals and a couple of additions – we’ll get to those in due course. That’s made up of 10 DPs, 6 P2s and the solo DeltaWing Coupe. 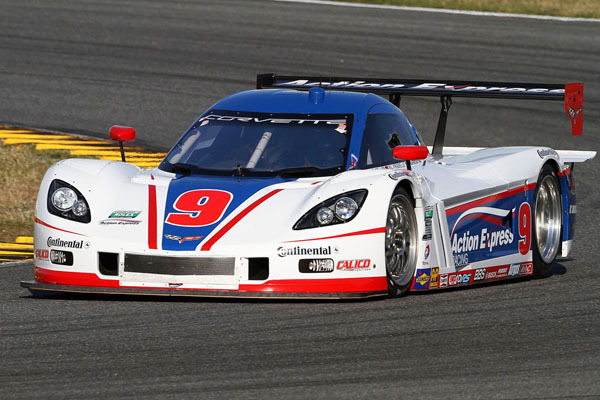 There are two absentees to explain, the Gainsco/ Bob Stallings Corvette DP was destroyed in the Daytona accident that hospitalised Memo Rojas, the team pulling out of the remainder of the NAEC. 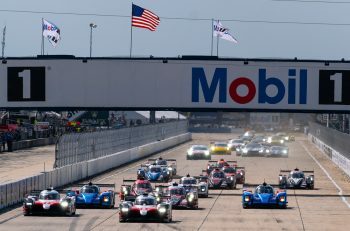 A late withdrawal has come from the Millennium Racing crew with their FIA WEC bound Oreca Nissan, the Delta Engineering run effort had tested at Sebring (during a Dunlop tyre test) but had the car on the Sebring test with TBAs against the driving squad. Earlier plans to run the Oreca back to back against a DP clad in the new, and yet to be revealed Coyote ‘generic’ body were postponed a while ago but the car was finally pulled from Sebring after a rained off third test day removed the opportunity for the team to get any time at all on the TUSCC spec Continental rubber, a substantial disadvantage to their class rivals. There’s an addition to the originally expected entry too, as Chip Ganassi fields a second Riley Ford. Let’s deal with the #0 car first. 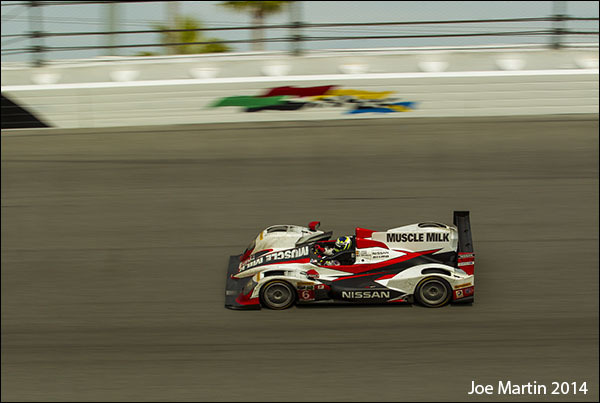 There have been impressive moves forward in testing as the DeltaWing team finally get their heads around the 2014 package. Better performance seems assured, but we’ll have to wait and see on the all important reliability and durability fronts, a major challenge at the notoriously car killing Sebring circuit. The Corvette DPs dominated at Daytona in almost every area and it’s perhaps little surprise that the five Vette DPs on the Sebring entry have now been dealt both smaller restrictors (moving from the pair of 34.5 mm units used at Daytona to a pair of 33.8 mm items). The Chevy V8 is also dealt a 7450 rpm limit. Despite that, several of the Corvettes are on most peoples lists for potential success. The DPs in 2014 spec are fundamentally different animals and the Corvette bodied (and engined) cars in particular have plenty going for them in terms of known strong points. 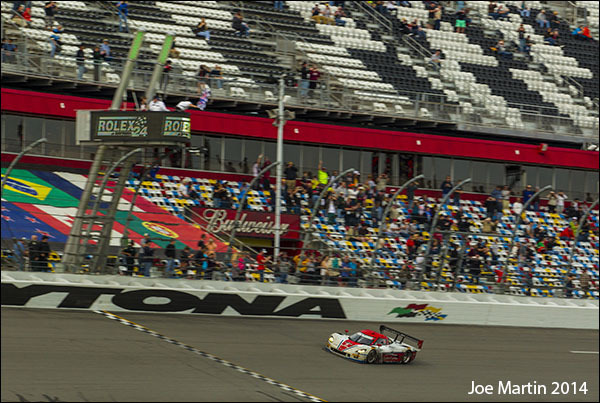 Action Express bring two cars to the race, and the lead #5 machine looks a strong proposition after its Rolex 24 win, Joao Barbosa, Christian Fittipaldi and Sebastien Bourdais as strong a line up as you’ll find in this field. Jon Fogarty steps over from the Gainsco car to the sister #9 Action Express car and will add punch there too. 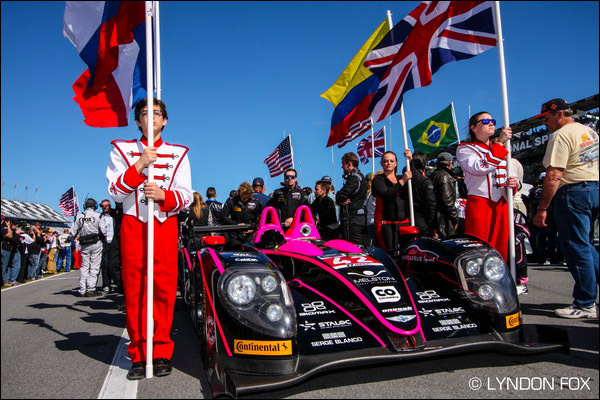 More likely to feature at the front of the field is the #10 Wayne Taylor Racing car, Max Angelelli, Jordan and Ricky Taylor ran at the front of the pack at Daytona, they’ll surely do that again this weekend. The #31 Marsh Bros. effort returns too with the always competitive Boris Said, and late signing Guy Cosmo the star turns. Spirit of Daytona Racing have a convincing hand to play too here, the all blue #90 car has one of the best driver line-ups of all in the class, Richard Westbrook, Michael Valiante and Mike Rockenfeller could be real contenders. There are five Riley DPs on the entry too though the Dinan BMW engined Highway to Help effort is unlikely to provide much other than aural entertainment. Starworks‘ #78 DP though moves over from BMW to Honda power (seen below at Daytona in BMW trim), the Peter Baron run team giving the 3.5-litre version of HPD’s well tried twin-turbo V6 its debut in a DP. Since its first test at Sebring the IMSA techies have doled out the same sized restrictors as the turbo Fords but have given the Honda slightly more available turbo boost (26.7 psi). That leaves a trio of 3.5-litre twin-turbo V6 Ford EcoBoost engined Rileys, in the hands of two very good teams. 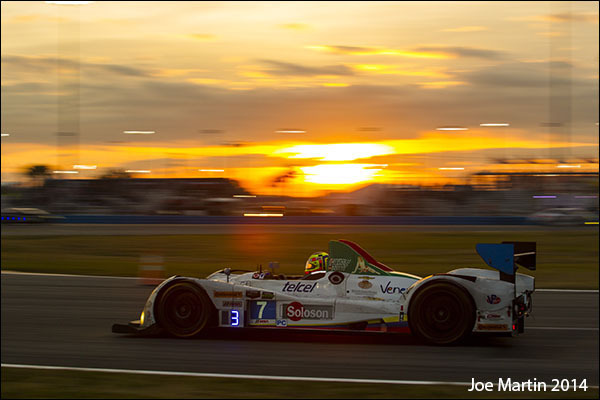 Their pace will be helped by larger restrictors doled out here, up from pairs of 33.1 mm openings at Daytona to 33.7 for Sebring. 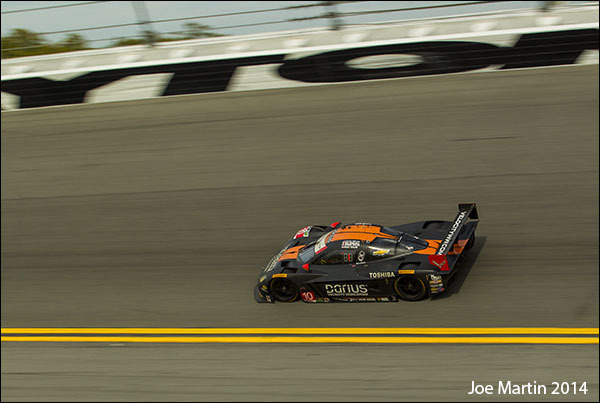 The Michael Shank Racing effort stuttered at Daytona but quality always shows through. 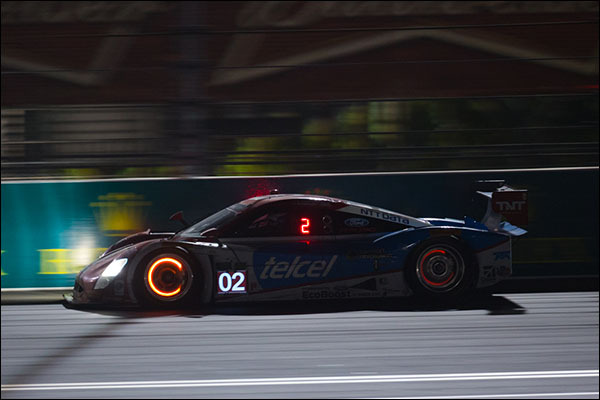 The problem for MSR though is threefold, the lack of endurance testing at Sebring from the Ford engined DPs is the first problem, the other two are the pair of cars that Chip Ganassi Racing is now fielding with a late call bringing the #02 car back out to play. The full season #01 adds the not inconsiderable talents of Marino Franchitti to the regular Pruett/ Rojas combo and there is little to suggest anything other than a full race potential player there. The reliveried #02 meanwhile sees Sage Karem supported by a pair of real stars, the very popular 2013 Indy 500 winner Tony Kanaan together with the 2013 IndyCar Champ Scott Dixon. One to watch for sure. 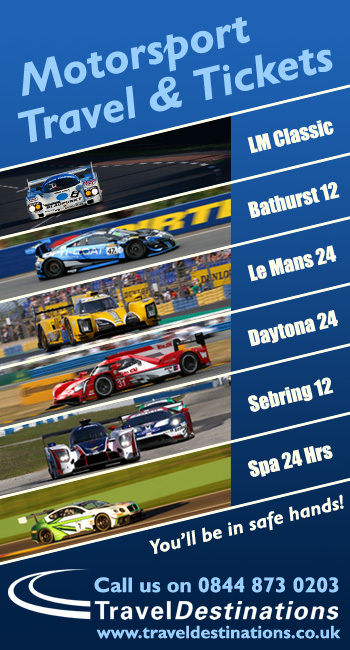 In P2 land the teams will be hoping that the Sebring circuit swings things back in their fvour, the aero advantage of the LMP machines should have a part to play, but will the DP’s power advntage continue to tell? 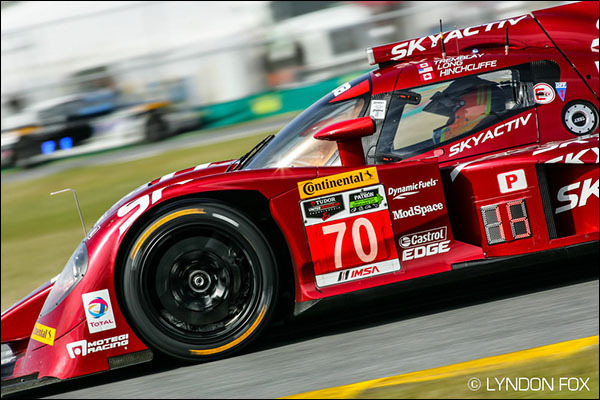 Of the 6 cars on this entry the SkyActiv diesel engined Mazdas are unlikely to have made a jump from Daytona that is significant enough for them to be ranked as anything other unfancied. That said their reliability was better than the team expected at Daytona – A finish here for either car will be a big step forward for a programme that has a lot of work ahead of it. Sebring though should be very much more to the HPD’s taste though and, of the pair the #1 car is the more likely to succeed, the Brabham/ Dalziel/ Sharp trio the more rounded, though aboard the #2 car the mercurial Simon Pagenaud should shine, Johanes van Overbeek is capable of real pace and Ed Brown needs to ensure that he keeps it on the island at this pretty unforgiving place. The 2.8 litre twin turbo V6 in both cars gets a slight incrase in permitted turbo boost here, up to 26.7 psi. Will that be enough to keep the HPDs with the to Nissan engined cars – time will tell. 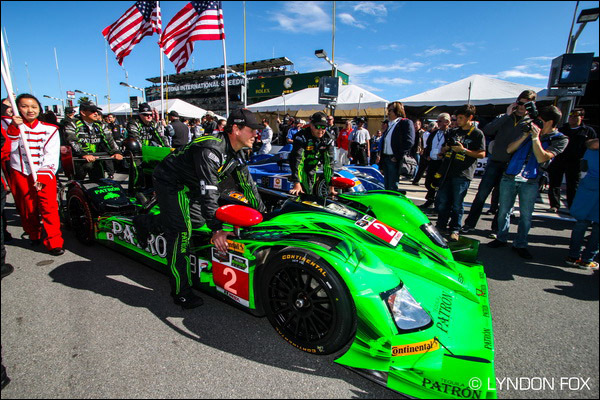 The Morgan Nissan of OAK Racing has another of the head turning driver line ups in the field, Olivier Pla is simply world class, produced lap times at Daytona that had other P2 drivers scratching their heads and will relish the return to Sebring. Alex Brundle moves over from Muscle Milk at the Rolex 24 Hours to the team, and the car, with which he contested the 2013 FIA WEC, he continues to impress and improve, as does Gustavo Yacaman. Don’t count this effort out, but watch out too for any issues in traffic for the P2s, notoriously fragile by comparison with the beefier DPs. Last but very much not least is the sole Oreca Nissan now in the field. Muscle Milk Pickett Racing will want to show well here, a track they all know well. Not quite all though as their regular dynamic duo of Klaus Graf and Lucas Luhr are joined by NISMO Athlete Jann Mardenborough, the wee Welshman making his Sebring debut and looking to impress just as much here as he did at Le Mans in 2013. 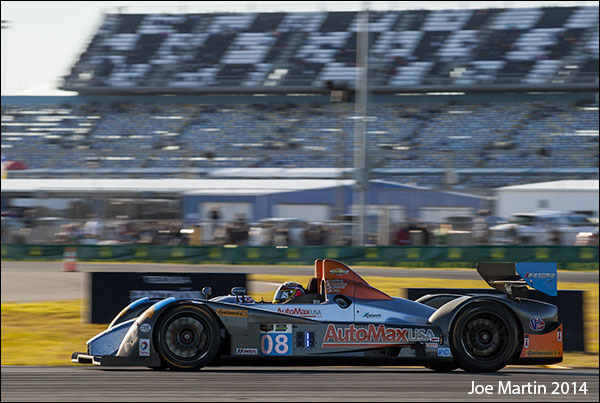 The #6 car is another proven package that has every prospect of being right in contention – Here’s hoping that the P2s and DPs have a more even fight this time out. 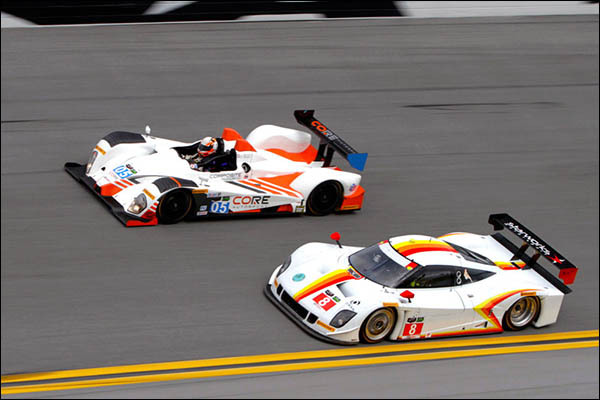 Here’s hoping too that the 11 car LMPC pack is back on form after a rather underwhelming show at Daytona. We’ve become well used to the Oreca Chevys providing a real close fought show and it was a substantial disappointment to see them reduced to an ‘old school LMP2’ style survival of the least badly delayed kind in their first ever 24 hour race. Let’s first welcome an addition to the grid here, the #85 JDC/Miller Motorsports effort including South African ex A1 GP and Creation LMP1 driver Stephen Simpson. Beyond that though there is the usual intriguing mix of Pro-Am line-ups that often delivers big entertainment value in this class. Pierre Kaffer in the #7 Starworks car is as driven as ever whilst the sister #8 machine sees the mercurial Renger van der Zande paired with 2013 GP2 star Sam Bird once again as the Englishman waits on a call to determine whether he, or fellow Brit James Calado will become the final piece in the AF Corse FIA WEC jigsaw. 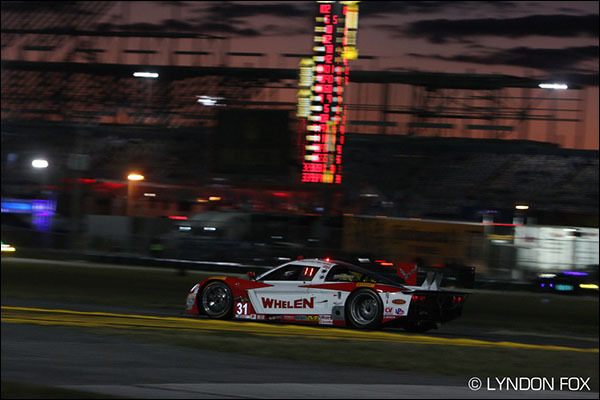 Tom Kimber Smith again anchors the 8Star effort whilst Gunnar Jeannette and Frankie Montecalvo join 2013 ALMS class Champ Mike Guasch at PR1/ Mathieson. Colin Braun again gives punch to the #54 Core Autosport effort and will look to help Jon Bennett and James Gue build on the teams class winning effort at Daytona. FIA WEC LMP2 reigning drivers Champ Martin Plowman joins the BAR1 squad at Sebring with RSR Racing fielding a pair of very strong looking crews too. With a circuit that plays to the strengths of the package it’s going to be all about traffic management, and a little bit of racing luck!